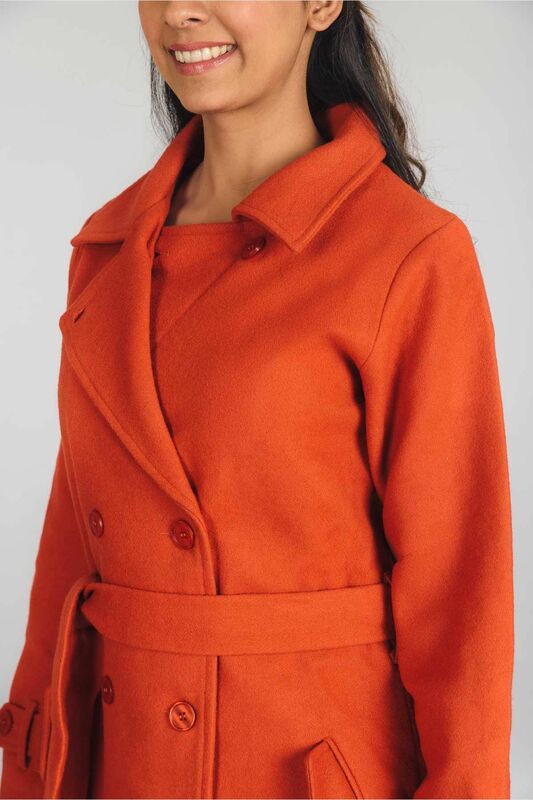 Wool coats are one of the most liked winter wear. 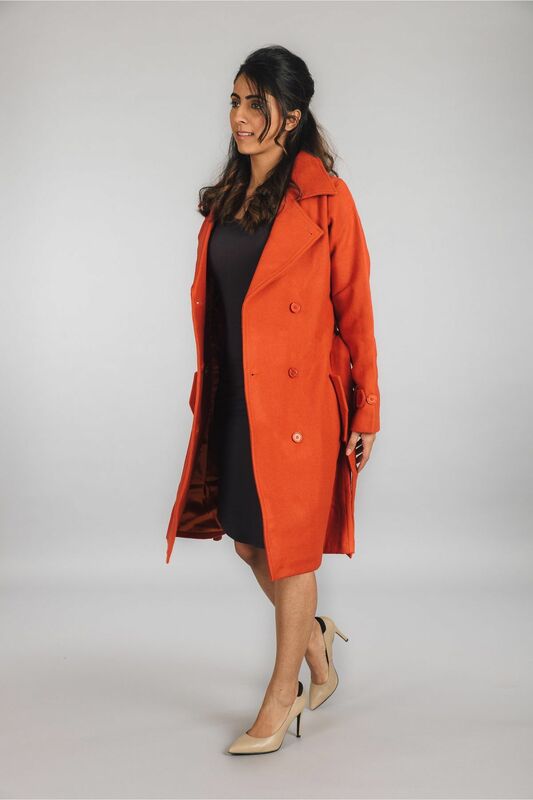 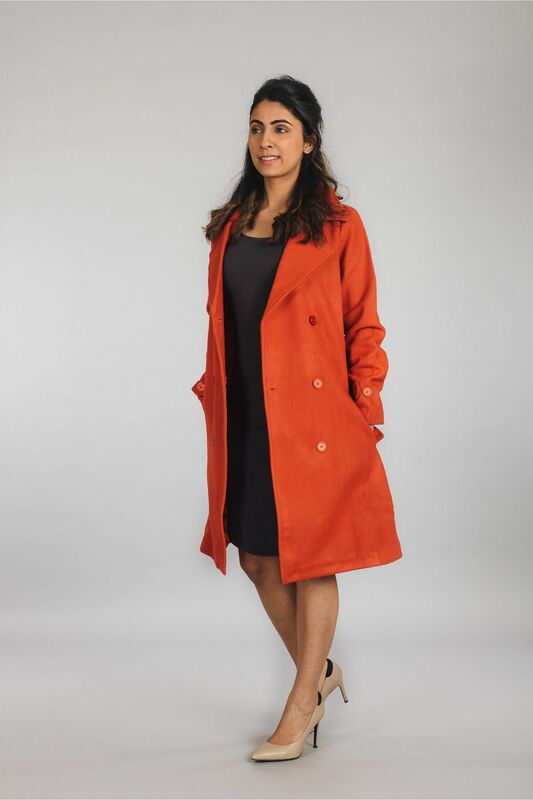 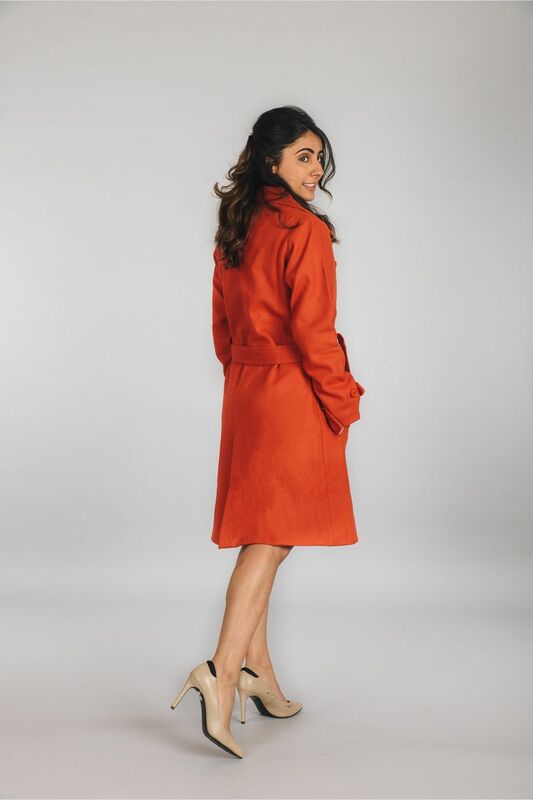 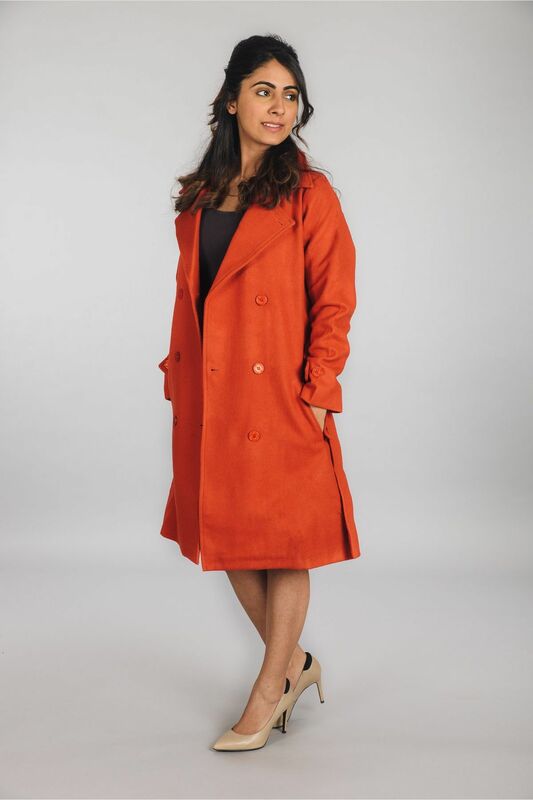 It is a stylish orange coloured knee length Trench Coat for women. 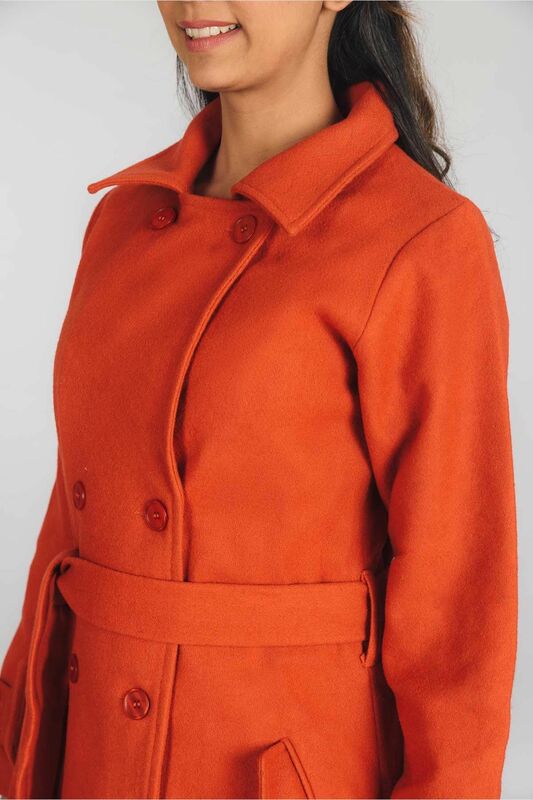 It is made of 80% wool and 20% polyester. 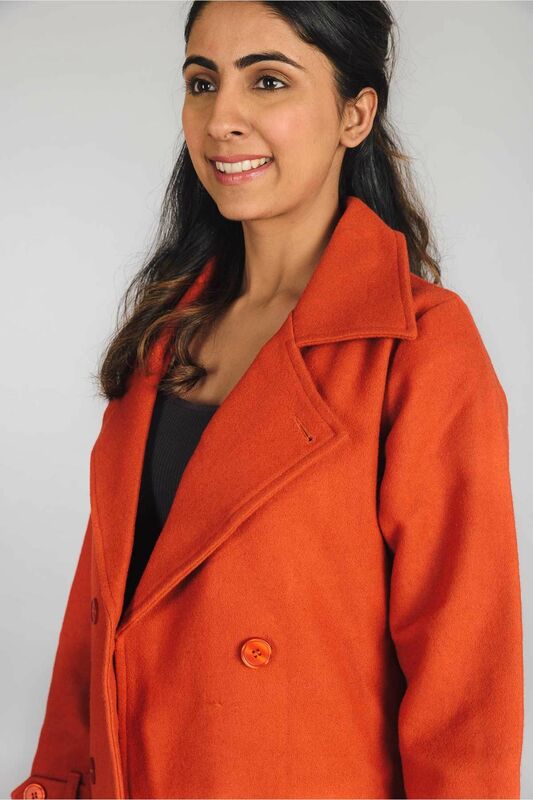 The fabric construction keeps the wearer warm and cozy during cold temperatures. 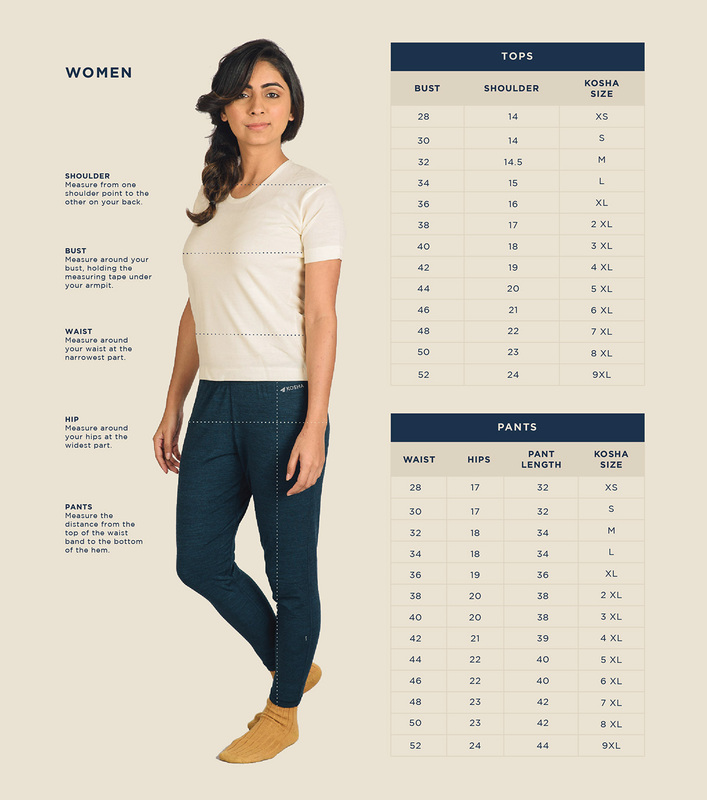 It comes with an inner satin lining to give you comfort. 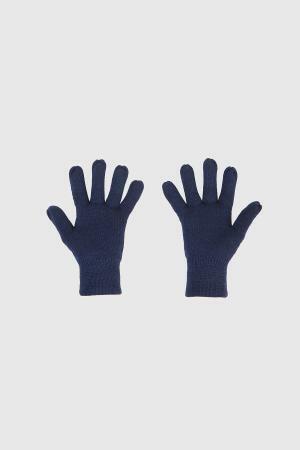 Great buy for all types of corporate meetings and dry winters.